The Ironclad class of ships were built in Wilmington’s ironically named Beery’s Shipyard during the Civil War. Ironclad’s founder began his career working next generation capabilities for the Navy. The name Ironclad was selected as a remembrance of both Wilmington’s history and their founder’s career. Ironclad is both a brewery and event venue. The building, located in Historic Downtown Wilmington, dates back to 1925 and was painstakingly revitalized using 33 local vendors. 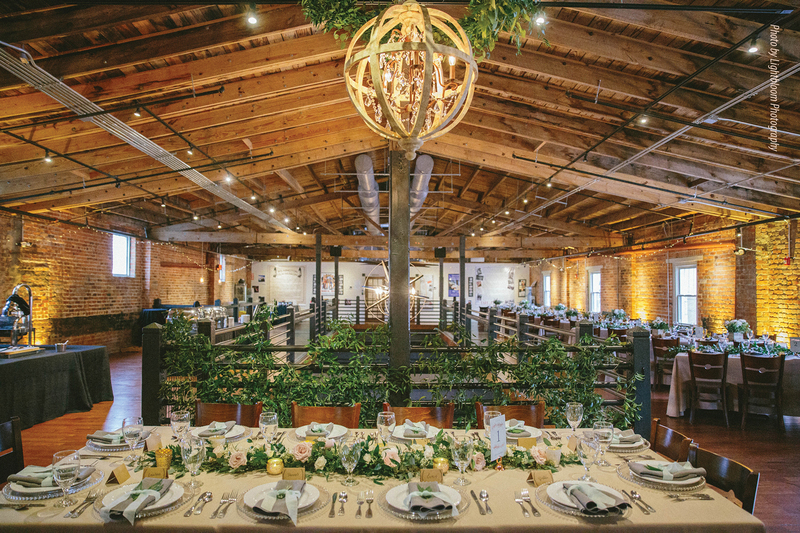 They can accommodate large parties of over 400 people and a wide range of events are often held at Ironclad. With an assortment of 15+ Ironclad beers on tap, the four-ounce beer tasters are very popular. Several wines, liquors, juices, and soda are available as well. Ironclad Brewery is a unique event space for weddings, receptions, corporate events, and fundraisers, as well as retirement, birthday, and holiday parties. Events held at Ironclad Brewery are scheduled as either public or reserved events. A public event means the brewery remains open to customers. A reserved event is when either the 2nd floor or the entire brewery is closed to the public. A contract is required for reserved events. The venue, bartenders, tables, chairs, and glassware are all included!